A real estate land contract is the legal document that often accompanies a type of seller financing of property. Land contracts are attractive to many property purchasers who may not otherwise qualify for a conventional mortgage. Land contracts are also known as contract for deed, contract of sale, land sale contract or installment sales contract. Typical terms set forth in seller financed deals can vary, but usually there are some general guidelines that all land contracts contain. These guidelines have some flexibility and are negotiated between the buyer and seller. One of the most advantageous traits of land contracts is that the terms of sale -- including the down payment -- can be adjusted by the parties involved. This can come as a huge relief for those buyers who may be pocketbook-challenged. Usually sellers who partake in seller-financed contracts require at least enough of a down payment to cover the closing costs, excise taxes, plus any real estate commissions or monies owed on an underlying mortgage. A seller, however, may waive the down payment in the interest of a quick sale or a higher interest rate that nets him more money over the life of the loan. The interest rate amount of a land contract is not restrained by federally imposed loan guidelines, so the interest rate is usually decided between the buyer and seller. Many sellers tend to impose a higher interest rate than the current national average, because they are giving a credit-compromised buyer the ability to purchase a home. The added benefit of home ownership to a buyer who otherwise would be unable to purchase through conventional means is typically worth the higher rate. Commonly, the length of time that a conventional bank or lending institution allows a purchaser to pay back a home loan is 30 years. 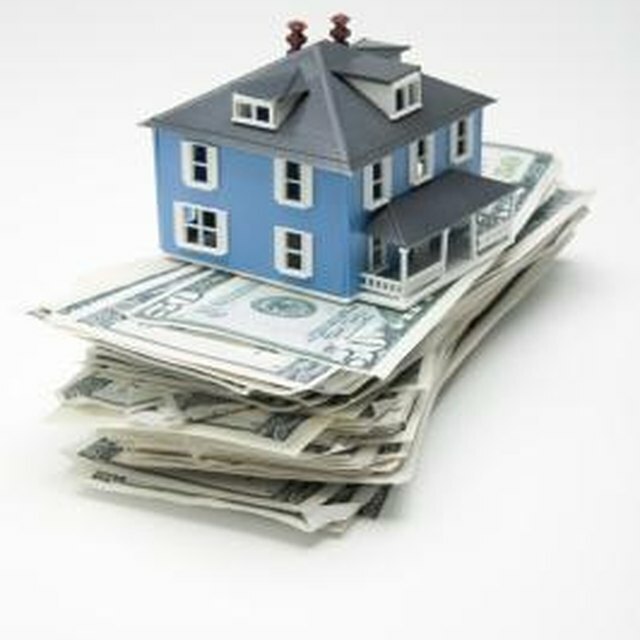 In seller-financing situations, many sellers are not willing to carry the financing for that long. Most seller-financed contracts only allow a buyer between seven and 10 years to pay off the balance; rarely will a seller agree to let a buyer pay off the remainder of the loan within 30 years. Sellers can be impatient to receive the remaining balance of the loan, so balloon payments are not uncommon in land contracts. A balloon payment is a large, lump-sum payment that is due within a certain period of time, usually the amount of the total balance owed. Typically balloon payments are due in five to 10 years from the first payment, and many buyers choose to refinance with conventional financing methods in order to satisfy the payoff.